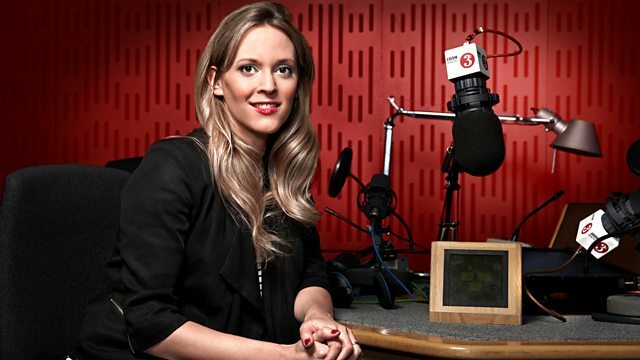 Clemency Burton-Hill presents Radio 3's classical breakfast show on Young Artists Day, with two young poets live in the studio each reading from their own work. Clemency Burton-Hill presents Radio 3's classical breakfast show on Young Artists Day, with two young poets live in the studio each reading from their own work. Also featuring listener requests. Radio 3 salutes some of the new and upcoming talent active in the arts today under the age of 25. As well as hearing from young choreographers, composers, musicians and writers throughout the day, Radio 3 will be playing music of great composers in their youthful periods, alongside recordings of seminal performers made when they were young. Ensemble: The Parley of Instruments. Director: Paul Nicholson. Linley: Music for the Tempest: The Parley of Instruments/Nicholson. Orchestra: National Youth Orchestra of Great Britain. Conductor: Sir Mark Elder. National Youth Orchestra of Great britain: 50th Anniversary. Ensemble: Den Unge Danske Strykekvartet. Young Danish String Quartet: String Quartets Vol.1/Carl Nielsen. Arriaga & Vorisek: Symphonies: Scottish Chamber Orchestra, Sir Charles Mackerras. Performer: Daniel Barenboim. Performer: Pinchas Zukerman. Performer: Jacqueline du Pré. Conductor: Mike Brewer. Choir: National Youth Choir of Great Britain. Performer: François Leleux. Orchestra: Ensemble Orchestral de Paris. Conductor: John Nelson. Mozart: Wind Concertos: Guerrier/Leleux/Meyer/John Nelson. Performer: John Ogdon. Orchestra: London Symphony Orchestra. Conductor: Aldo Ceccato.